Three Mukhi Rudraksha Is The Symbol Of Three Deva I.E. (Brahma, Vishnu And Mahesha). The Person Who Wears This Rudraksha After Proper Sidhhi Will Always Get The Blessings Of Three Powers And Accompanied By Three Deva. 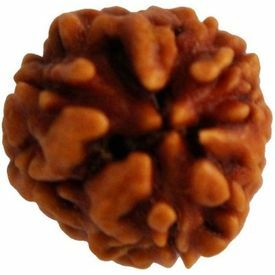 The Wearer Of This Rudraksha Gets Success In All His Works. The Person Who Wears Such Rudraksha Has No Difference Of Opinion In Saying, Thinking And Doing In Practical. The Rudraksha Takes All The Miseries And Sorrow From The Life Of The Wearer And Makes The Life Full Of Happiness And Comforts.